Medicines can be packed by the local pharmacist in blister packs (e.g. Webster paks). These blister packs usually contain one week’s supply of medicines. 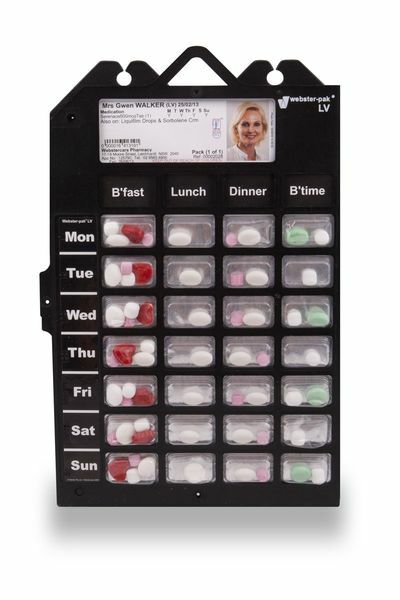 The pack is labelled with each day of the week and has four spaces for medicines each day. This is a safe way to organise your family member’s medicines and is a good choice if your family member is taking many medicines at different times in the day.